At its I/O developer conference, Google today announced Jetpack, a major update to how developers write applications for Android . Jetpack represents the next generation of the Android Support Library, which virtually every Android App in the Play Store uses because it provides a lot of the basic functionality that you would expect from a mobile app. It’s also the next step in the work that the company has been doing with architecture components, a feature it launched at last year’s I/O. 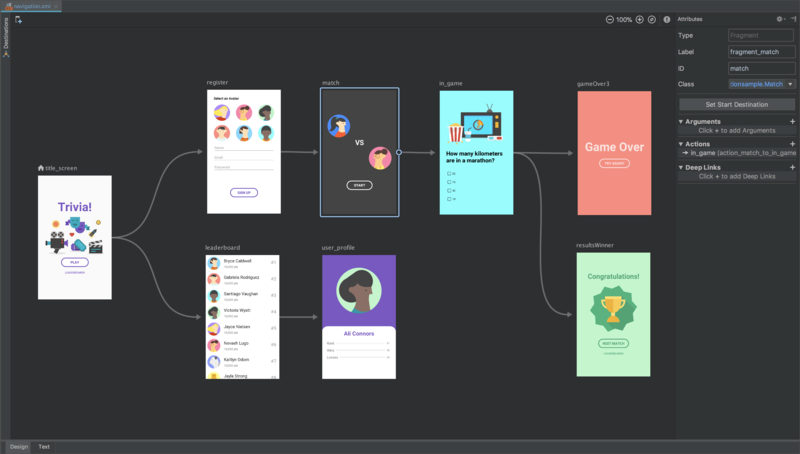 Jetpack combines the existing Android support libraries and components and wraps them into a new set of components (including a couple of new ones) for managing things like background tasks, navigation, paging, and life-cycle management, as well as UI features like emoji and layout controls for various platforms like Android Wear, Auto and TV, as well as some more foundation features like AppCompact and Test. It’s important to note that developers can choose whether they want to use Jetpack. Ahead of today’s announcement, Stephanie Saad Cuthbertson, Google’s product management director for Android, told me the company will continue to release all updates in both the support libraries and Jetpack. Cuthbertson also stressed that the general idea here is to remove some of the repetitive grunt work that comes with writing new apps and help developers get more done while writing less code. New components that will go live with Jetpack today include WorkManager, Paging, Navigation and support for Slices, the newly launched feature for highlighting results from installed apps in Google Search and the Google Assistant. WorkManager handles background jobs, while the Navigation component helps developers structure their in-app UI. The Paging Component lets developers break down the data they pull from a server into — you guessed it — pages, so they can display results faster. All of these new components, except for the Paging component, which is stable, are officially still in alpha. It’s worth noting that Jetpack was very much designed with the Kotlin programming language in mind. It was only last year that Google elevated Kotlin to a first-class language in the Android ecosystem; 28 out of the top 100 apps in the Google Play store already use it. Cuthbertson also noted that 95 percent of the developers who use Kotlin say they are happy with using it for Android development. 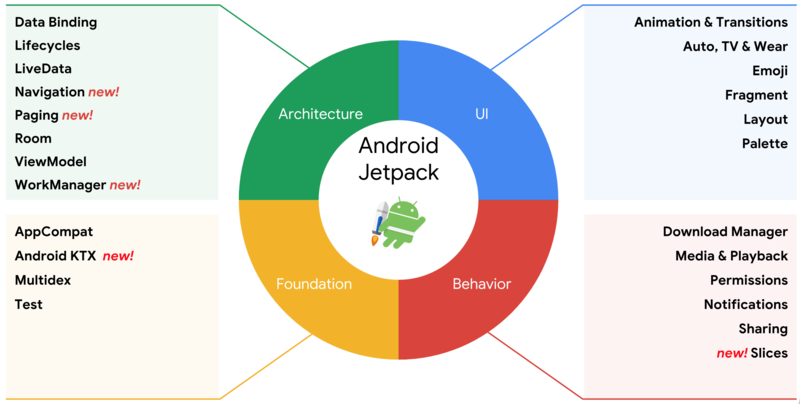 With today’s launch of Jetpack, Google is also launching Android KTX, a set of Kotlin extensions for Android, as well as Jetpack support in the latest canary release of Android Studio 3.2.